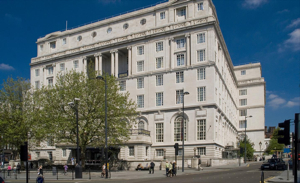 The next major UK BI reunion will be held in Liverpool, based at the Britannia Adelphi Hotel, from Friday October 10th to Sunday 12th. The weekend is being organised by Mike Feltham and colleagues in the north of England. This page shows a summary of the programme arrangements and two PDFs : the Adelphi booking form and Mike Feltham's suggestions for places to visit on Merseyside. First of all, let me welcome you to this reunion. I have today signed the contract for the reunion to take place at the Britannia Adelphi Hotel, Liverpool. The terms will be £139 per person for a two-night stay with breakfast, inclusive of a buffet dinner on the Friday evening and a gala dinner on the Saturday evening. The curry lunch on Sunday will be another £10. The TOTAL cost will be £149 per person. There is NO single (room) supplement. We will have a private dining room with a bar for all three occasions. For persons not staying at the Britannia Adelphi, the cost of the meals will be £15 for Friday's buffet, £25 for Saturday's dinner and £10 for the curry lunch, a total of £50. If anyone wishes to stay over on the Sunday night, the cost will be the third-night rate of £159, per person, this includes dinner and breakfast overnight. A deposit of £35 for each person will need to be paid to the Hotel before Feb14, the balance to be paid when booking into the hotel in October. There is an open air car park adjacent to the Hotel, the cost of which is £12 for the two nights - tickets available at reception. The hotel is less than ten minutes' walk from Lime Street train station (exit platform and turn left). The hotel offers free wi-fi, and has security safes at reception, rental £10. Residents may use the sports facilities including the swimming pool. This is a link to the hotel booking form, which needs to be sent with your £35/person deposit by Feb 14. I am attaching a page re Saturday's programme, places you might like to visit. Would everyone attending please post a Cheque for £20 per person,to me, made out to M J Feltham. This is to cover expenses, that is, name badges, mail and a speaker for Saturday's dinner. Any balance of the admin fee at the end of the reunion will be handed to the Liverpool Seafarers' Centre. Please le me know names you want on your badge(s) and what ships you sailed on. If you have any queries or problems, contact me on +44 151 6304338 (in UK, 0151 6304338, or my mobile is 07776 233253). I am sure you will enjoy this northern reunion !